Thread: A16 - Undead Legacy. 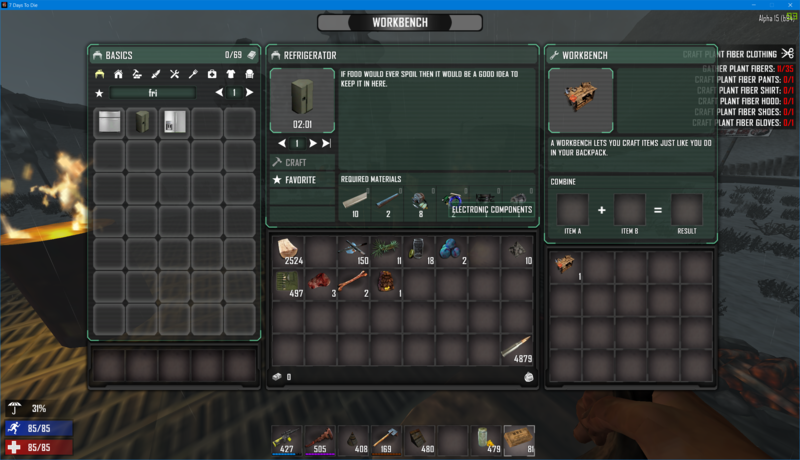 More loot, gear, recipes, custom ui, rebalancing. I am currently working on version 2.0 of Undead Legacy for A17, it will hopefully be out in Q2 2019. Meanwhile consider checking out the A16.4 version if you haven't already to get a sence what to expect. Mod Author - Subquake, the developer and author of Undead Legacy. You are allowed to use Undead Legacy with or without any kind of modifications to its source material. All modifications and/or derivative works of Undead Legacy are restricted to private use only if not stated otherwise with written consent from Mod Author. Your rights to use, reuse, distribute, duplicate, copy and modify Undead Legacy is limited to private use only if not stated otherwise with written consent from Mod Author. Mod Author is not responsible for any damage, that may be inflicted during an incorrect or correct installation of Undead Legacy. All artwork related files (any format of images or video files) for Undead Legacy posted, shared or distributed by Mod Author in any form (digital or physical) belong to Mod Author unless stated otherwise by Mod Author and duplicating/copying these files is limited to private use only unless stated otherwise by a written consent by Mod Author. Unique user interface inspired by post-apocalyptic fallout like games. 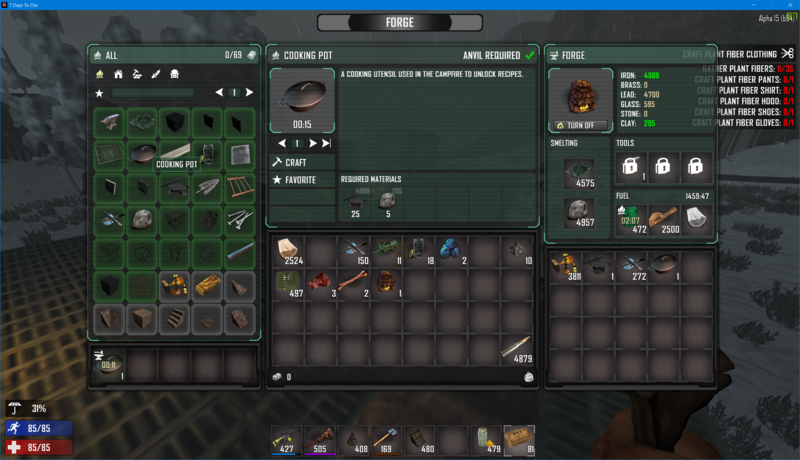 770+ new items/blocks: workstations, tools, consumables, weapons, ammo, parts, junk, armor etc. 47 Collectible perks (By finding rare magazines). Player crafted working ovens and wall ovens. Blacksmith perk with 12 levels, that unlocks most metal related recipes. Looting list rebalanced from top to bottom. The longer you will play and the higher your level will be, the less likely you'll find fresh food, because no one is making sure that the food stored in those fridges without electricity stay fresh. Food itself doesn't perish or rot once obtained. Rebalanced scrap values for many items and blocks. Most electrical items can be scraped into multiple components by Examining them. More challenging and improved crafting recipes. Support for EAC - mod doesn't change core assets of the game. Support for both single player and dedicated servers. Increased backpack version available with 80 slot backpack! Increased minibike storage up to 80 slots from vanilla 15 slots! 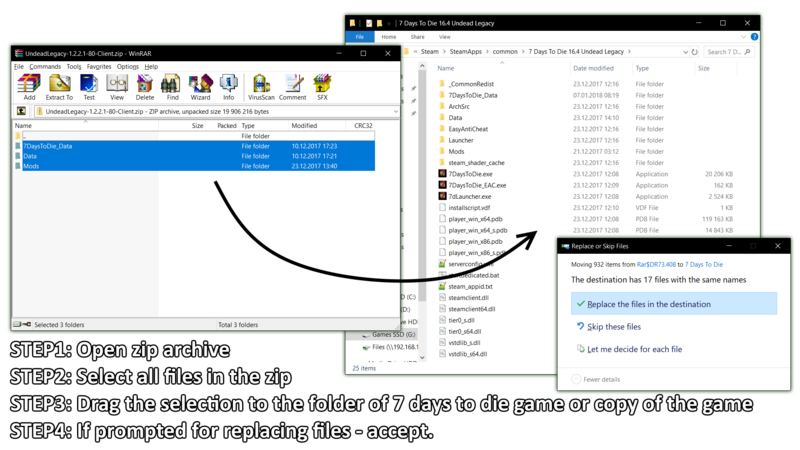 A quick guide how to manually install the mod. Thanks to all the wonderful people, that are current and former patrons as well as people, who contributed through PayPal or otherwise, I can't express enough how much I value your support, it means a lot to me! If you like the mod consider supporting its development through PayPal, becoming a patron on Patreon or at the very least leave a comment with your experiences here on the forums or on the mods Discord channel, thank you! Last edited by Subquake; 03-09-2019 at 07:41 AM. I like this look and am excited to see it finished and give it a try. Nice work! Last edited by Subquake; 11-05-2017 at 06:04 AM. Wow looks epic! Keep up the good work! Last edited by Subquake; 10-31-2018 at 04:27 PM. I've updated my main post with new screenshots, scratched the old ones. You are doing an amazing job man. I only wish Atlas Icons could be pushed to the client via URL like the UI. I'm sure Steam Workshop support will be available at some point too, they just have their hands busy with other things first. Last edited by Subquake; 10-01-2016 at 02:22 AM. Last edited by Gorys211034; 10-01-2016 at 08:26 AM. I also love ton of items, that's why I'm making this mod, since I think while the items the default game offers are nice and all, they are far and few between. I have been using the UI push since the first release. I currently am working on an in-game Wiki with the UI for the large amount of mods I have added. I'm currently working on an MMORPG style Mod. Excuse my ignorance, and my laziness for posting before searching. Does this make the server go to the modded tab? Can a client run any UI version without it causing a problem with EAC/valve when joining a server?